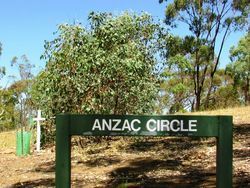 ANZAC Hill commemorates those who died in service or were killed in action during World War One. 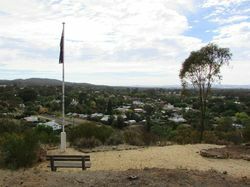 Early in 1916, the community of Maldon decided to erect a memorial to honour the Maldon men who had died in service or were killed in action, and the plan was formed to establish ANZAC Hill. 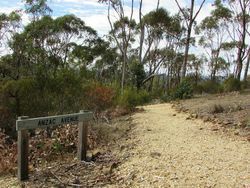 Two avenues and a double circle of trees were planted on the Hill, with the trees being donated by the people of Maldon and planted by volunteers. After the war, a Turkish field gun, possibly captured by the Desert Mounted Corps in the Sinai-Palestine Campaign, was obtained from official sources and placed on the hill as a memorial. 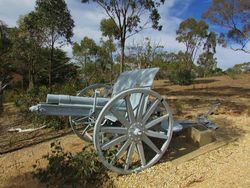 The gun fell into disrepair but was restored in 1988 as an Australian Bicentenary Project. 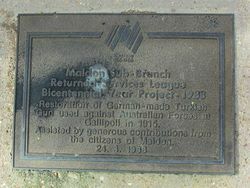 The associated plaque states that the gun was captured on Gallipoli, but it is unlikely that this is correct. 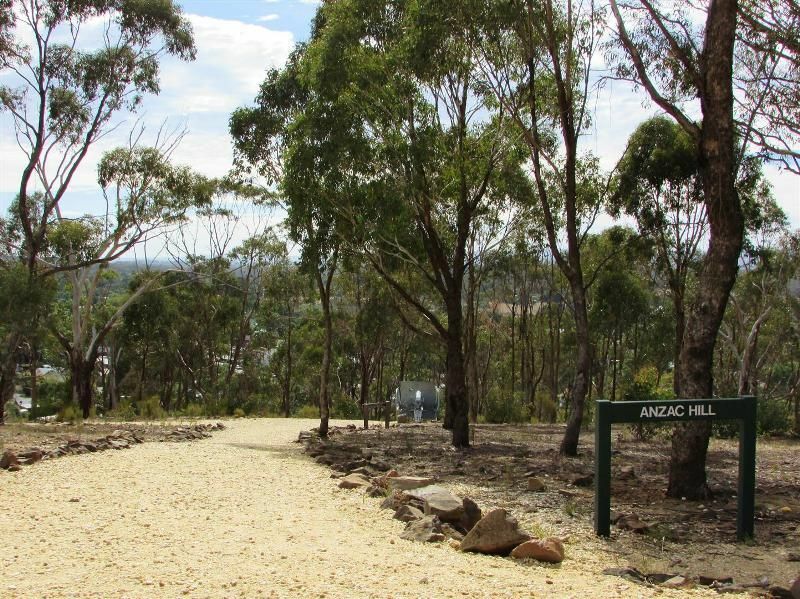 ANZAC Hill was officially opened by Cr. Bowen (president of the Maldon Shire) on Saturday afternoon in the presence of a large assemblage, and in glorious weather. Avenues of trees have been planted on the sides and summit, and protected by guards, each tree being erected as a mark of respect to Maldon men who have fallen in battle, or died on active service, and also the old pioneers of the Maldon district. Castlemaine Mail (Vic), 6 November 1917. Restoration of German-made Turkish Gun used against Australian Forces at Gallipoli in 1915. Assisted by generous contributions from the citizens of Maldon.